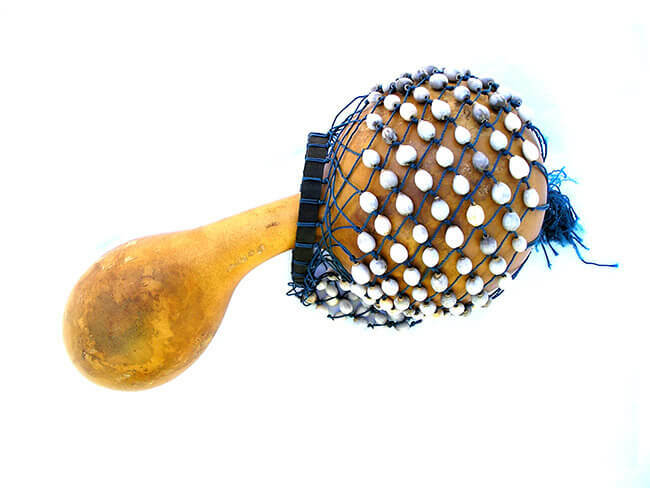 With 46 different languages in Ghana, this instrument has many different names. In our language “Ga” it is an ashakai (pronounced “ah-sha-kye”) but is more generically known as a Shekere (pronounced sheh-kuh-ray) and also axatse or djabara in other countries of West Africa. Each dry, hollow gourd is chosen based on size & density and then covered with a string that has been hand woven with shell/beads. 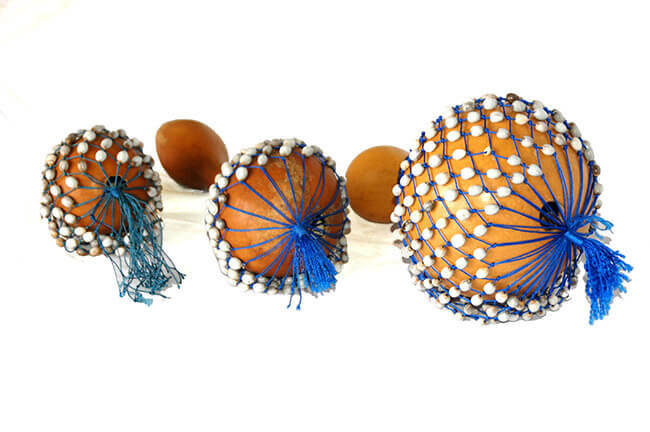 It is played in a number of ways – shaking it like a maraca, twisting or pulling on the strings to make different sounds with the shells/beads and hitting it against your body in a rhythm. The ashakai adds a great element to any ensemble and works well for lullabying babies! Handmade in Ghana from local materials.